A repository of open-source code for use in MFT Server. 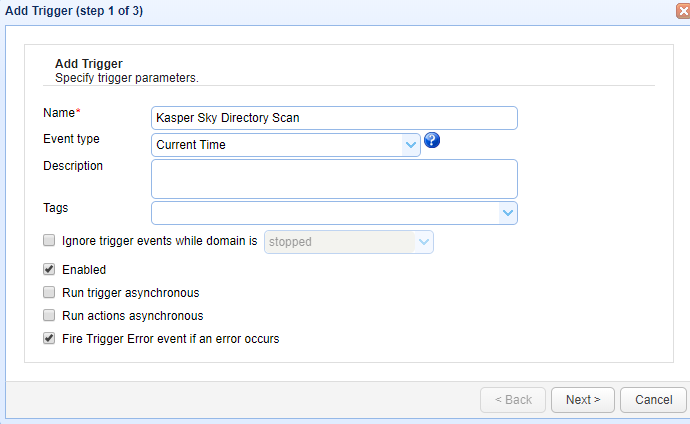 This custom trigger action performs a virus scan against a directory using Kaspersky anti-virus software. Let me now show you how to implement that. server where JSCAPE MFT Server is running. Give the trigger a Name and then select the Current Time event type from the drop-down list. 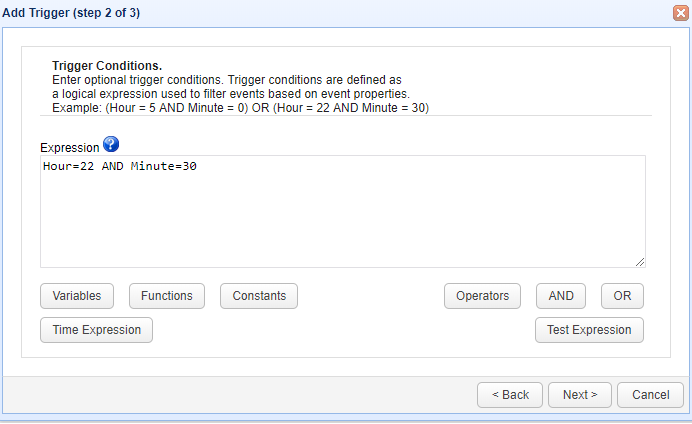 Click Next to Step 2 where a condition can be set to execute the trigger. 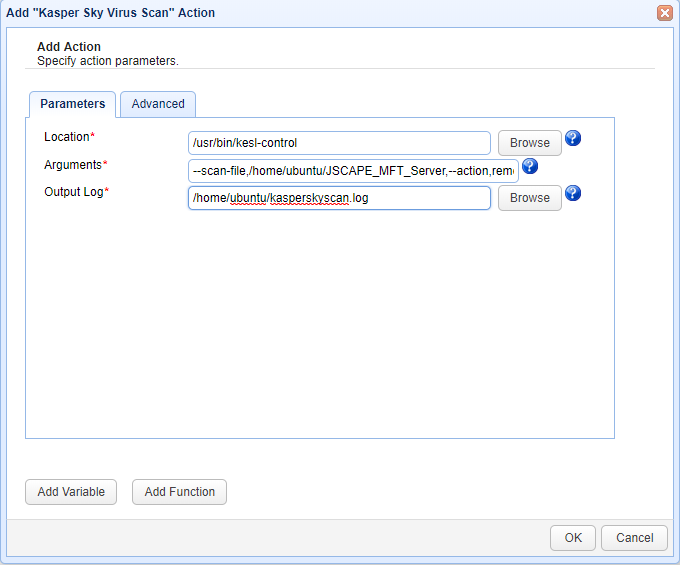 The step 3 asks to add an action, Add the action "Kasper Sky virus Scan" from drop down list. If the action not found read the build instructions (Source code and build instructions) . Output log is the file where all scan information will be written.